How can you improve your English conversations? Find out today as Lindsay talks with Travis Wolven about the poetics of conversation! What should be your focus when learning English? How can you make the most of the time you invest in studying? Today Lindsay talks with Nick Vance about the 80/20 principle, and how it can improve your English conversations! Nick believes that 80% of the positive benefits of something come from 20% of the input. In business, some customers are more valuable than others. With friends, though you may have many, only a few are truly close. In learning English, most of the grammar mistakes a new learner makes are really the same mistake over and over. Correcting these most common 20% of mistakes would eliminate 80% of all grammar mistakes. The best way to identify these is by working with a teacher who can help point out your mistakes. Another way to work with the 80/20 principle is to prepare answers to the most common questions you might get from native English speakers. This will help you comfortably get conversations started — which is probably 80% of the work! Do you see the 80/20 principle working in your life? How to book a lesson with Nick! Nick Vance is originally from Kentucky and has lived in North Carolina, Washington DC, San Diego and Portland. He has been living in Berlin, Germany for 2.5 years. Nick’s degree is in math but he left that field when he realized how much he enjoyed helping others learn English. Nick has been helping people improve their English for 4 years and have been teaching online via Italki for about one year. How do you get a job in the United States? What do employers want and expect? Today, Lindsay and Kristy talk about 3 things an employer in the U.S. might look for in a job candidate! If you’re applying for a job, it’s important to know what your potential employer is looking for. Like any other country, the U.S. has a professional culture which places more value on some individual qualities than others. These qualities may be very different from what employers look for in your home country! Proactive attitude: Show that you are autonomous and energetic – the opposite of passive. It means to show up early, confirm the time you will meet, and say thank you. Positive attitude: Americans like smiles. But it’s also important that you get along with others and not be pessimistic. Communication: When you actively communicate it shows you are engaged. A big part of this is simply that you let the boss know what is going on. Be a “Giver”: Show that you believe in the vision of the company and are personally invested in its success. In other words, it’s more than a job to you. Are these the same traits that employers look for in your country? Do you have grit for learning English? Today, Lindsay talks with Sarah Scala about the importance of persistence, both in life and in learning English! Resilience is the ability to pick yourself up after a setback, and keep going. It’s an important ability, and it’s also something we can improve in ourselves. But Sarah believes that grit is even more important. Grit is your ability to stay focused, over the long term. It enables a person to be nimble and accept the ups and downs without losing focus. Be meaningfully interested. Find a way to connect to English in a way that is not superficial. Have a growth mindset. Your brain has the ability to change and evolve, and that will make it easier to succeed and harder to fail. Attune your thinking to this inherent ability. Practice. The only way to become an expert is to work at it. How much resilience and grit do you have? As a dynamic consultant, coach, and educator, Sarah Scala has over 15 years of experience in supporting organization development, leadership, and change management. Sarah brings high energy, adaptability, and openness to new challenges. She has substantial experience in global leadership development, executive coaching, learning design, and team effectiveness. Sarah has led development initiatives for start-ups to Fortune 500 companies in industries such as global manufacturing, financial services, legal, consumer packaged goods, pharmaceutical, medical, consulting, and education. Learn More About Grit and Resilience! Survey- Do You Have Grit? 5 Characteristic of Grit- How Many Do You Have? Want to improve your English conversation? Learn from a tennis pro! Today, Lindsay and Kristy talk about what they've learned about language learning from tennis lessons! In tennis, as in many other sports, it’s critical that you persist. You have to keep trying. You have to show up for practice, and be consistent. Mental toughness is also important. You want to have the upper hand and be offensive, rather than defensive. When learning a new language, sometimes we get stuck on a negative thought or an embarrassment. This can lead us to lose the upper hand, and our confidence. But when we sound good, we feel more in control. The point is to practice, and to try to keep the ball in your court. Stay in the game and take a deep breath! Do you think tennis (or any other sports) offer lessons to language learning? Let us know what you think in the comments section below? Have you found your Zone of Genius yet? Today, Lindsay and Kristy continue to discuss the Zone of Genius concept, and what you can do to find success in English and in life by discovering it in yourself! The Zone of Genius is where your innate talent and your greatest passion come together, in a way that matters to you. It is not about improving weaknesses, but rather amplifying strengths. Inhibitions can hold us back in life. That is why it’s important to seek out your Zone of Genius and how it applies to your life, your relationships, and your careers. If you feel afraid, you might be on the right track. When should you use the word ‘the’ in English? Today, in #1 of the Top 15 Fixes series, we discuss the most common article in the English language, ‘the’! Use if the word ‘the’ can be a confusing. But there are some rules that can help you get it right most of the time. The first requires that you consider whether the focus is on something specific, or something more general. Geographical terms can also be tricky for ‘the’. In most cases, large, well-known geographic places will have ‘the': the content, the Pacific Ocean, the moon. With specific countries, a country’s formal name might require ‘the,’ while a less formal name might not: the United States, the Russian Federation; America, Russia. Episode 185: Interested or Interesting? Episode 197: Who Pays for Lunch? What have you found difficult about ‘the’? Tell us all about it in the comments section below! Do you have a potential for genius? Today Lindsay talks with Laura Garrett, creator of the Zone of Genius Assessment, about how you can discover your own zone of genius! The Zone of Genius is your innate talents combined with your purpose. Your talent is what you’re naturally good at, and it is unique to you. Your purpose is your main challenge in life – this may not be so unique. In fact, many others may have the same challenge, and there may be an opportunity for you to help them while helping yourself. Identify your talent: Ask your colleagues what they see as your unique approach to the work you do. You may have overlooked something about yourself! Identify your challenges: Look at your past. What did you struggle with? What was hard? What did you overcome, and how did you help others? Ask yourself weekly: What are you excited about at work? Are you bored or interested? Why or why not? Look back on your past week: What impact did you have? Does it satisfy you? What do you think of the Zone of Genius concept? Laura Garnett is a Performance Strategist, speaker and the creator of The Zone of Genius Assessment — a powerful process that clarifies your unique talent and purpose, to produce greater impact, results and fulfillment at work. She speaks at events and conferences across the country, including TEDx, and is a regular contributor to Inc.com, The Huffington Post and the Zappos Delivering Happiness blog. Prior to launching her own New York-based consultancy, Laura honed her marketing, branding and mission-refining skills at companies like Capital One, American Express, IAC and Google. Visit Laura’s website, sign up for her newsletter and take an assessment to see if you are living and working in your Zone of Genius! Are you free to follow your goals in life? Today, learn how freedom comes with fearlessness! Come back to allearsenglish.com/219 for more! There are so many things to be afraid of: loneliness, lack of money, professional failure or meaninglessness. Fears can overwhelm you. But what if you have a vision that’s bigger than fear? To accomplish anything, you have to get out of your head and into your body. Action means letting go of your thoughts. But to do that, you need the freedom to be fearless. Are you free and fearless? How does it come out in your life? Do you say By Yourself or On Your Own in English? Come back to allearsenglish.com/217 for more help! Today, in #2 of our Top 15 Fixes series, we discuss these two phrases and how to use them when you’re doing something alone! By yourself and on your own are two phrases that may look different, but their meanings are essentially identical. Both are used to say that you’ve done something alone, rather than with others. Even though their meaning is the same, you want to be careful that you don’t mix up the prepositions between these phrases. The best way to avoid that is to learn each one as a chunk. And the best way to do that is to practice! What do you like to do by yourself? Are you an adult living at home with your parents? Did you know that American culture discourages this? Today, find out why Americans feel compelled to move out of their family home at age 18 – even if they don’t have enough money to do so! Do you surround yourself with doers? Is it important to spend time with others who appreciate your dreams? Today, we talk about why it’s a good idea to hang out with people who can do and dream, and one action you can take to build a supportive social circle! Sergin is an All Ears English listener in Turkey. He listens to English conversations 4-8 hours every day! His goal is to become an actor and move to Hollywood. That may sound like an ambitious dream, but it is possible. Dreaming big is the only way to achieve big things. And it’s important to have a goal that you care about. What you’re doing must inspire you and hold your attention. Find what you want to do in life, not just what you should do! 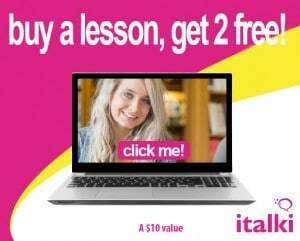 Come back to allearsenglish.com/213 for more info! What’s the difference between do and make in English? Do you make something, or do you do it? Today, in #3 of our Top 15 Fixes, we talk about the difficulty of distinguishing when to use these two verbs! Many English learners have difficulty using do and make, often because they are directly translating from their own language. But native English speakers make it even more difficult. Even though there are some basic rules for using these verbs, native speakers tend to break them. How do you make friends in New York? Today, we discuss one little part of making it in the Big Apple! Come back to our site for more!